The man asked, "Will you buy booze?" The bum said, "No." The man asked, "Will you gamble it away?" The bum said, "No." 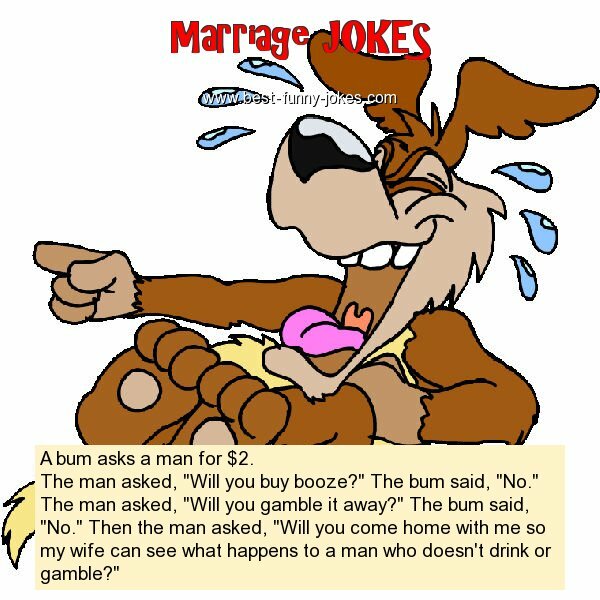 Then the man asked, "Will you come home with me so my wife can see what happens to a man who doesn't drink or gamble?"